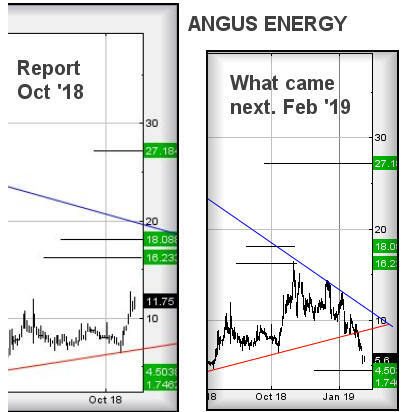 Angus Energy #CAC40 #SP500 Despite #Angus Energy being in a pretty vile position, it’s share price drop represents something we prefer witness as our last prediction (link here) mentioned a drop target of 4.5p. The lowest achieved (thus far) has been 5.25p and the route taken may prove quite important. 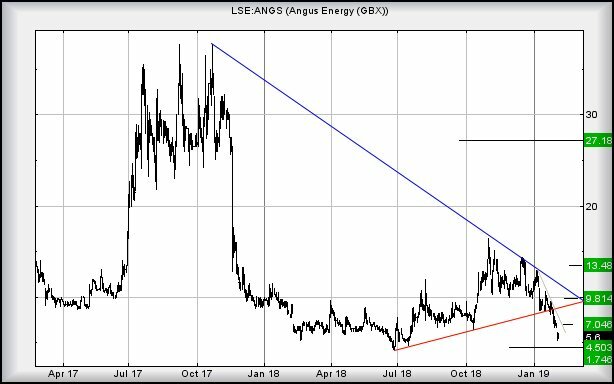 If we contrast the above picture against what happened with our thoughts on Ryanair yesterday (link here), Angus actually achieved a rise to our initial 16p, even bettering it slightly despite NOT closing above the 16p level. The subliminal implication is of some strength being present. Next, unfortunately the share opted to fall off a cliff, but bounced – very slightly – on its first surge at 5.25p, comfortably above our thoughts of 4.5p. Again, there is a subtle suggestion of strength being present. Now, we’re going to be fascinated in what comes next. To give a first clue bottom is “in”, we need the share price to better just 6p as this theoretically allows recovery to an utterly useless 6.5p. But to us, if the price were somehow to better 6.5p, we’d be justified in mentioning a return to 7p is expected. Only if the price closes a session above 7p can we proposed a future 9.8p as a viable ambition, returning the share above its immediate uptrend and giving considerable hope for the longer term. In summary, for now we’ve some slight optimism. And would caution below 5.25p as a trip to 4.5p becomes inevitable. Secondary, if broken, calculates at a pretty devastating 1.75p.